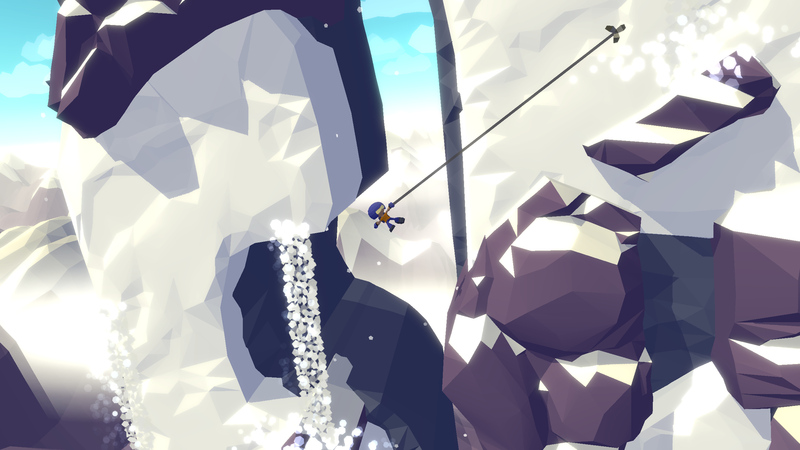 Hang Line is an extreme-physics climbing game where you swing up dangerous mountain peaks and rescue stranded survivors from avalanches and angry goats. You play as an extreme climber equipped with a grappling hook, who flings himself up death-defying peaks to rescue survivors from disasters like plane crashes and earthquakes. Using the unique and intuitive one-tap control system, climb treacherous rock faces and navigate dangerous obstacles including angry mountain goats, falling boulders and shattering icicles Use your grapple to drag obstacles and pull away ice blockages in order to clear the path forward. Swing yourself to safety as the mountain literally collapses around you. Play through a series of over 50 unique hand crafted levels, each offering its own unique challenges and surprises including avalanches and volcanoes. Earn awards and build up your rescue squad by searching for special items on the mountain and collecting unique character sets. Remember - please take swinging seriously.